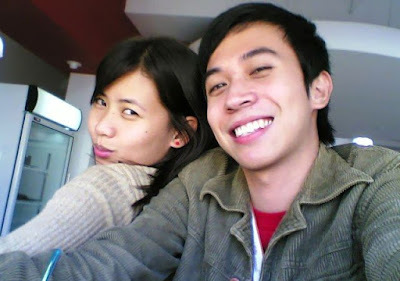 Here's a photo of me and Princess when I was still working in iQor, Clark. Princess and I went in the company together. We were interviewed and hired on the same day making her the first person in the company who became close to me. Our tandem was one-of-a-kind and we used to go out together after work with friends. Her pseudo was Daniella David and mine was David Daniels. Cool huh? I totally miss working with her and I really miss my friends especially the "Petiks" team. When I resigned on August 2008, I heard that the account we were in to was dissolved and they were transferred to a different one. Soon after that, Princess took her resignation too. Hey guys! When are we going out again?